Howell Elmo Talbott Sr., 82, of 881 Talbott Rd., went home to be with the Lord on Tuesday, July 10, 2018 at Sovah Danville. Born in Caswell County, NC, he was the son of the late Edward Jackson Talbott and Mary Sue Williams Talbott; in addition to his parents he was preceded in death by his son Kenneth Wayne Talbott. Mr. Talbott was retired from Jim Millner Plumbing where he worked for over 35 years. He was a Deacon at Blanch Baptist Church. He was also a member of the Sons of Confederate Veterans and a member of Caswell County Senior Cleft Choir. Mr. Talbott is survived by his wife of over 63 years, Muriel Hicks Talbott, of the home. In addition to his wife, he is survived by two sons; Howell “Jack” Elmo Talbott Jr. (Lisa) of Yanceyville; Chesley Talbott (Angie) of Yanceyville; a special nephew, Mike Talbott; five grandchildren: Jasa Talbott, Chelsea Talbott, Bailey Talbott, Noah Talbott, Jackson Talbott; four great-grandchildren: Jeremiah Talbott, William Talbott, Madilyn Talbott, Madison Durden. Graveside service will be held at 10 A.M. on Saturday July 14, 2018 at Blanch Baptist Church Cemetery by Rev. Keith Murray. 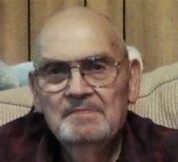 Visitation will be held after the service and other times at the home. Harrelson Funeral Services of Yanceyville, NC is privileged to be serving the Talbott Family. My sympathy to Muriel and the family. Elmo was such a nice man and always had a good word to say when I saw him. I remember playing Rook with him and Muriel at the Senior Center. BASKET GARDEN was sent by Lillie Brandon. So sorry for your loss, you are in our prayers.